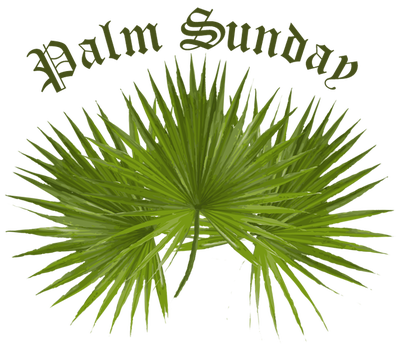 This year Palm Sunday falls on Sunday 24th March. It commemorates the entrance of Jesus into Jerusalem (Matthew 21:1-9), when palm branches were placed in his path, before his arrest on Holy Thursday and his crucifixion on Good Friday. It thus marks the beginning of Holy Week, the final week of Lent.Jesus’ triumphal entry into Jerusalem, is mentioned in all four canonical Gospels.In many Christian churches, Palm Sunday is marked by the distribution of palm leaves (often tied into crosses) to the assembled worshippers. The difficulty of procuring palms for that day’s ceremonies in unfavorable climates for palms led to the substitution of boughs of box, yew, willow, olive, or other native trees.In the accounts of the four canonical Gospels, Jesus’ triumphal entry into Jerusalem takes place about a week before his Resurrection. According to the Gospels, Jesus rode a donkey into Jerusalem, and the celebrating people there lay down their cloaks in front of him, and also lay down small branches of trees.The symbolism of the donkey may refer to the Eastern tradition that it is an animal of peace, versus the horse, which is the animal of war.A king came riding upon a horse when he was bent on war and rode upon a donkey when he wanted to point out he was coming in peace. Jesus’ entry to Jerusalem would thus symbolize his entry as the Prince of Peace, not as a war-waging king. In many lands in the ancient Near East, it was customary to cover in some way the path of someone thought worthy of the highest honour. The Hebrew Bible (2 Kings 9:13) reports that Jehu, son of Jehoshaphat, was treated this way. Both the Synoptic Gospels and the Gospel of John report that people gave Jesus this form of honour. However, in the synoptics they are only reported as laying their garments and cut rushes on the street, whereas John specifies fronds of palm (Greek phoinix). In Jewish tradition, the palm is one of the Four Species carried for Sukkot, as prescribed for rejoicing at Leviticus 23:40. The palm branch was a symbol of triumph and victory in the Greco-Roman culture of the Roman Empire, and became the most common attribute of the goddess Nike or Victory. For contemporary Roman observers, the procession would have evoked the Roman triumph, when the triumphator lay down his arms and wore the toga, the civilian garment of peace that might be ornamented with emblems of the palm. Although the Epistles of Paul refer to Jesus as “triumphing”, the entry into Jerusalem may not have been regularly pictured as a triumphal procession in this sense before the 13th century. In ancient Egyptian religion, the palm was carried in funeral processions and represented eternal life. The palm branch later became a symbol of Christian martyrs and their spiritual victory or triumph over death. In Revelation 7:9, the white-clad multitude stand before the throne and Lamb holding palm branches. In the 16th and 17th centuries, Palm Sunday was marked by the burning of Jack-‘o’-Lent figures. This was a straw effigy which would be stoned and abused. Its burning on Palm Sunday was often supposed to be a kind of revenge on Judas Iscariot, who had betrayed Christ. It could also have represented the hated figure of Winter whose destruction prepares the way for Spring. In the Roman Catholic Church, as well as among many Anglican and Lutheran congregations, palm fronds (or in colder climates some kind of substitutes) are blessed with an aspergillum outside the church building (or in cold climates in the narthex when Easter falls early in the year). A solemn procession also takes place. It may include the normal liturgical procession of clergy and acolytes, the parish choir, or the entire congregation.In the Catholic Church, this feast now coincides with that of Passion Sunday, which is the focus of the Mass which follows the service of the blessing of palms.The palms are saved in many churches to be burned the following year as the source of ashes used in Ash Wednesday services. The Catholic Church considers the blessed palms to be sacramentals. The vestments for the day are deep scarlet red, the color of blood, indicating the supreme redemptive sacrifice Christ was entering the city to fulfill: his Passion and Resurrection in Jerusalem.In the Episcopal and many other Anglican churches and in Lutheran churches, as well, the day is nowadays officially called “The Sunday of the Passion: Palm Sunday”; in practice, though, it is usually termed “Palm Sunday” as in the 1928 American Book of Common Prayer and in earlier Lutheran liturgies and calendars, to avoid undue confusion with the penultimate Sunday of Lent in the traditional calendar, which was “Passion Sunday”.In the Church of Pakistan (a member of the Anglican Communion) on Palm Sunday, the faithful carry palm branches into the church, as they sing Psalm 24.In many Protestant churches, children are given palms, and then walk in procession around the inside of the church while the adults remain seated. From that point, Verne published two or more volumes a year. 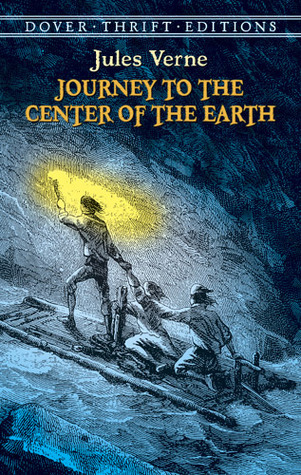 The most successful of these are: Voyage au centre de la Terre (Journey to the Center of the Earth, 1864); De la Terre à la Lune (From the Earth to the Moon, 1865); Vingt mille lieues sous les mers (Twenty Thousand Leagues Under the Sea, 1869); and Le tour du monde en quatre-vingts jours (Around the World in Eighty Days), which first appeared in Le Temps in 1872. The series is collectively known as the Voyages Extraordinaires (“extraordinary voyages”). Verne could now live on his writings. But most of his wealth came from the stage adaptations of Le tour du monde en quatre-vingts jours (1874) and Michel Strogoff (1876), Many of his novels involve elements of technology that were fantastic for the day but later became commonplace. He is the second most translated author in the world (after Agatha Christie). Many of his novels have also been made into films, animations and television shows. Verne is often referred to as the “Father of Science Fiction”, a title he sometimes shares with Hugo Gernsback and H. G. Wells. Roger Hodgson the lead singer with Supertramp celebrated his birthday recentlyso I have been listening to Breakfast in America again. I have since learnt that Dougie Thomson, British bassist with the bands Supertramp and The Alan Bown also celebrates his birthday and was born 24th March 1951 Supertramp formed in 1969 under the name ”Daddy” before renaming themselves in early 1970. Though their music was initially categorised as progressive rock, they have since incorporated a combination of traditional Rock, pop and art rock into their music. The band’s work is marked by the inventive songwriting of Rick Davies and Roger Hodgson, the distinctive voice of Hodgson, and the prominent use of Wurlitzer electric piano and saxophone in their songs. March 24th is the annual World Tuberculosis Day. It commemorates the day in 1882 when Dr Robert Koch astounded the scientific community by announcing that he had discovered the cause of tuberculosis, the TB bacillus. At the time of Koch’s announcement in Berlin, TB was raging through Europe and the Americas, causing the death of one out of every seven people. Koch’s discovery opened the way toward diagnosing and curing tuberculosis. It is also designed to build public awareness about the global epidemic of tuberculosis and efforts to eliminate the disease. Today tuberculosis causes the deaths of about 1.7 million people each year, mostly in the Third World.